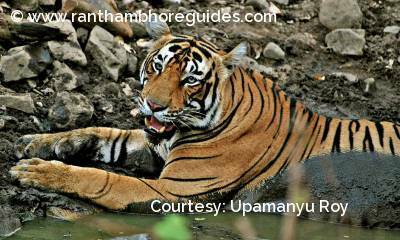 An icon of Ranthambhore Tiger Reserve – T-19 or Krishna gave birth to 3 cubs as her first litter of two males and one female in the year 2011. 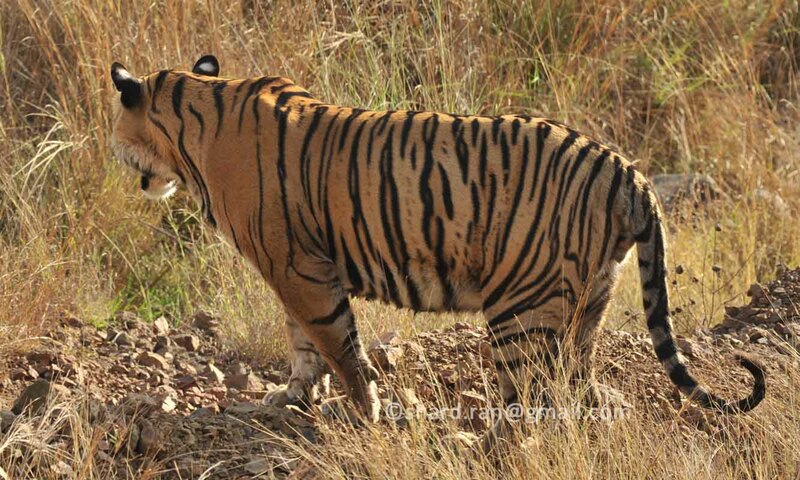 T-19 with her first litter was spotted on 26 May 2011 by nature guides, Saleem and Farid Khan at Nal Ghati area in zone no. 2. After grew up as adults, they had separated from their mother (T-19) in 2013 and established their own territory. 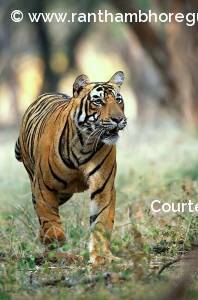 A female cub is known asT-63, while the both male cubs are known as T-64 and T-65. 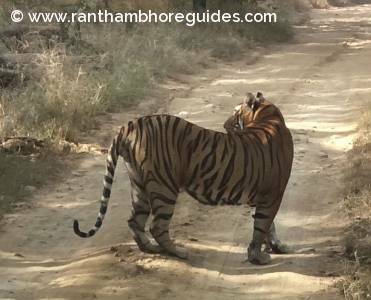 On Sunday 23 March 2014, she was spotted with her second litter of two females and one male first time while she was shifting her cubs by holding them in her mouth through her canine one by one by nature guide Ram Singh Meena with U K guest Oliver Gayle. After that one day she was sighted with her four cubs. It was great news because she gave four cubs in her second litter. 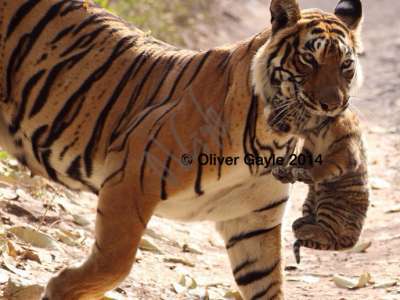 Unfortunately, she had lost her one cub soon. After that she has been sighted with her 3 cubs regularly and whole family became iconic family because it is the first choice for every wild life photographers and tourists from all over the world. The Tiger, T-85 is one of them and has settled down in zone no. 2, 3 and 4 (Padam Lake, Raj-Bag Lake and Malik Lake area) of the park that is also part of her mother’s territory, while the both sisters are known as T-83 and T-84. Packman aka T-85 was found on the main track in Khatola area , in Indala area that comes in Khandar Range, on 30 January 2019. 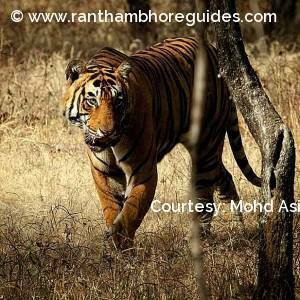 It is really very shocking news from Ranthambore National Park.